Can You Ride in an RV While It’s on the Move? New RV owners often want to know if passengers are allowed to ride inside of a towed RV while it’s in motion. When we bought our fifth wheel, this was one of the first questions our kids asked us. We did a lot of research to find answers that are legal and safe. When making a choice whether to allow passengers in your RV while it is moving, safety is the number one consideration. 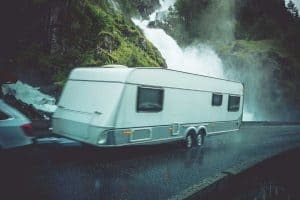 The laws for having people in a towed RV while it’s moving are not always clear, as each state has its own regulations. Some states allow for passengers to ride in a towed RV, but only if you take certain precautions, which I will explain below. 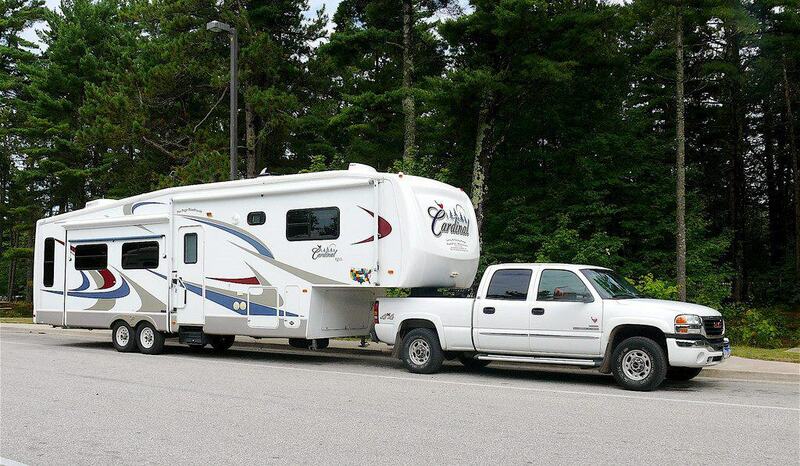 It’s important to remember that not all states allow passengers to ride in a towed RV. Laws are always subject to change, so be sure to check with your state to see if these guidelines are still in effect. Before continuing, allow me to clarify terms so that I can describe the regulations for different types of RVs. Towable RVs include travel trailers, fifth wheels, and pickup campers. 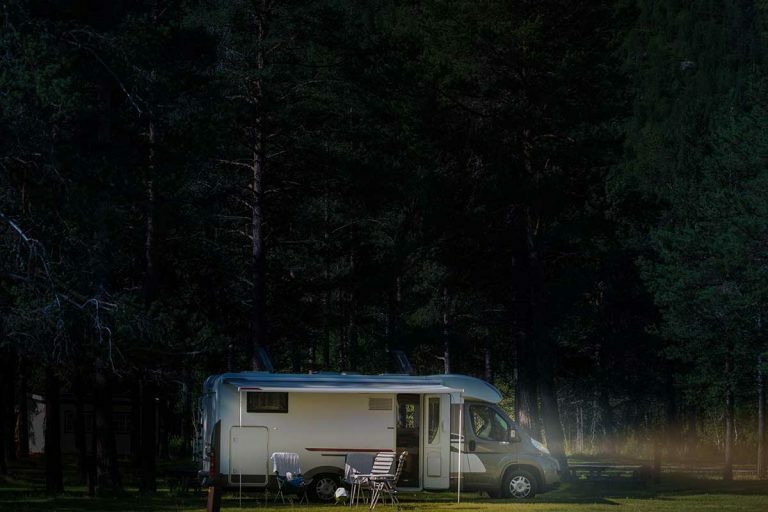 Class A, B & C motorhomes or camper vans are considered separately since they are designed for all passengers to be inside the rig while it’s moving. First, I’m going to focus on the legal & safety precautions for travel trailers, fifth wheels, and pickup campers. Then I’ll touch upon safety guidelines for motorhomes at the end of this article. 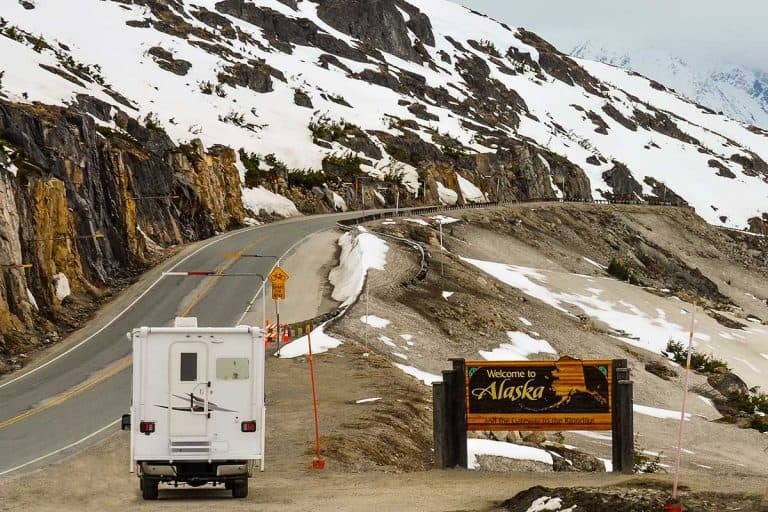 Can you ride in towed RV’s while they’re on the move? Let’s talk about having passengers ride inside a 5th wheel or travel trailer. Again, each state sets their own laws about which, if any, towable RVs are legal to carry passengers inside. Some states prohibit passengers in a travel trailer, but allow them in a fifth wheel. 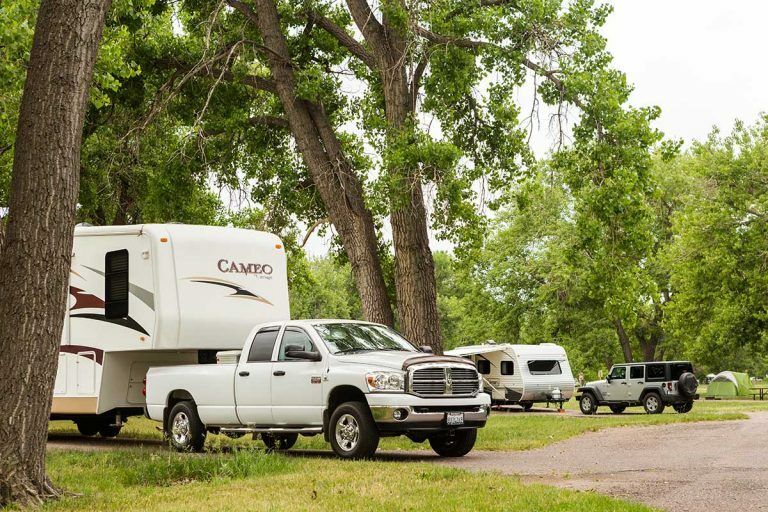 Other states allow passengers in a pickup camper, but not in fifth wheels or travel trailers. A few states allow passengers inside of a travel trailer. 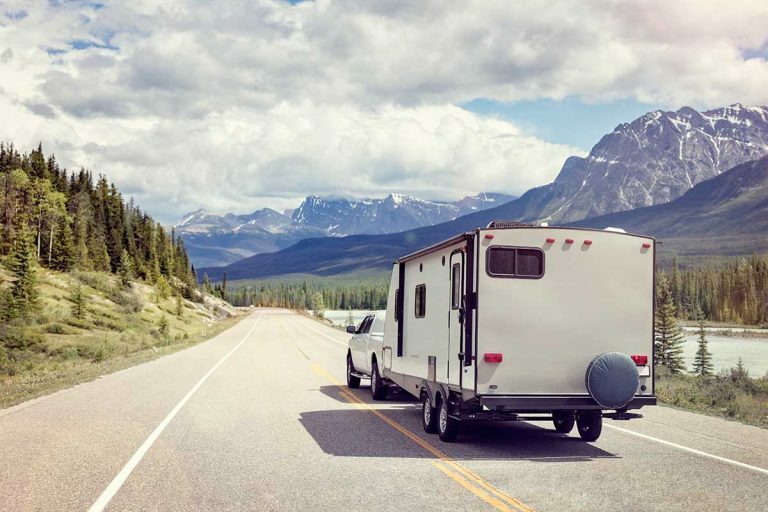 If a state legally allows passengers to ride inside a towable RV, these are the most common safety precautions that states may require drivers to take ahead of time. If the state you’re traveling through allows passengers in the RV, it is essential that the driver is able to communicate with them. You might use a cell phone if you’re in an area where you have cell reception, or a two-way radio. Consider having a way to visually alert one another in case reception is spotty, or another device failure occurs. 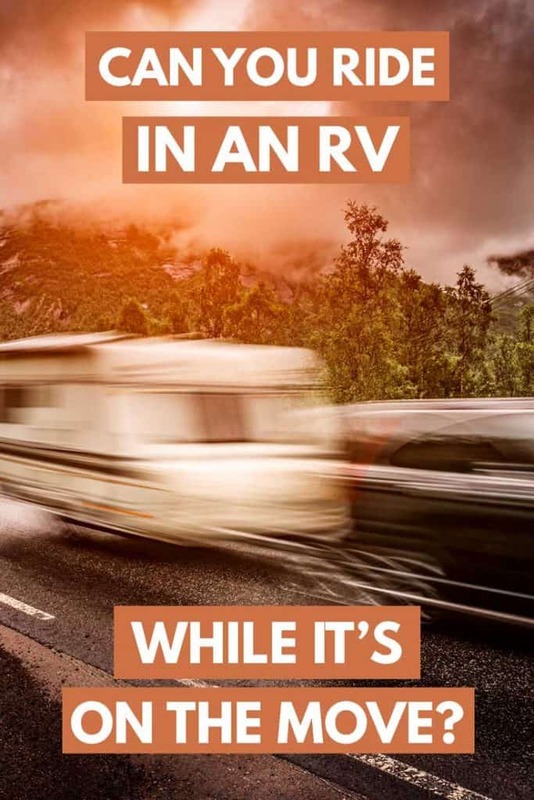 The important thing is that the driver can notify the passengers if a bumpy section is coming up, or that the passengers can alert the driver to pull over if there is a problem in the RV. 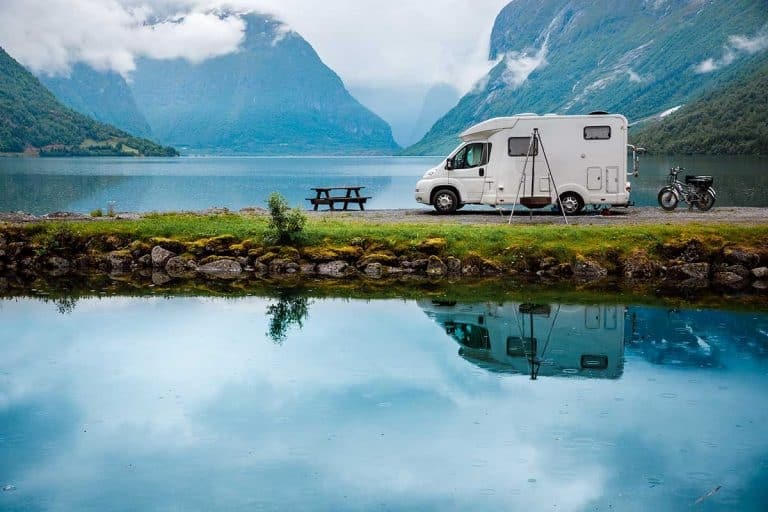 Make sure that your RV has safety glass windows installed. Just like in an automobile or truck, safety glass ensures that if a stray rock or other object hits the window, the glass will not shatter into the passenger’s skin or eyes. You can check your owner’s manual or contact your RV’s manufacturer if you don’t know what kind of windows you have in your RV. If you don’t have shatterproof glass in your RV windows, you should not carry passengers while driving. This may seem obvious, but you should not allow children to ride in a towed vehicle without an adult. No matter how much they may beg you, it isn’t safe. RVs aren’t built with the same types of safety protocol as automobiles. As anyone who has towed an RV over some distance knows, things do become dislodged during the journey. 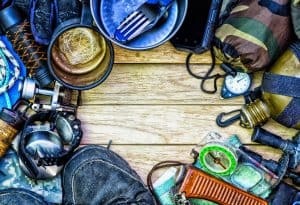 Items can easily come loose or fall while the RV is in motion, and children could accidentally get injured. Unfortunately, we all know that accidents do happen. 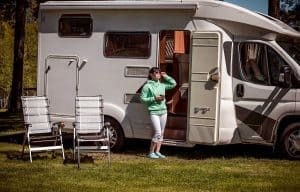 If an accident were to occur with passengers inside your towed RV, emergency workers may need to get inside of the RV quickly to tend to passengers. Likewise, you would want your passengers to be able to get out quickly if there was a fire or other hazard inside the RV. Your RV doors should be unlocked so that passengers could get out in an emergency situation. 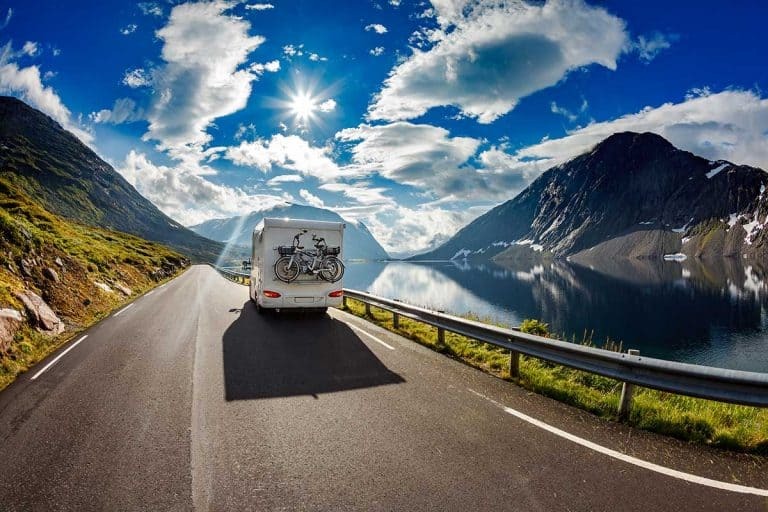 It’s smart to make sure that both sides of the RV have a window or door that passengers or emergency workers could easily access in case of an accident. In some states, riding inside of a towable RV is allowed, but passengers are required to have seat belts fastened while the RV is in motion. Most towable RVs are not built with seat belts attached to the living area furniture, so you would need to have these installed yourself. You should determine which seats of the RV are the safest to use and make sure the number of passengers does not exceed the number of seat belts installed in your RV. This is more of a practical safety point, rather than a legal one. Ensure that all of your overhead cabinets close tightly and that all loose objects inside the RV are secured. Even if you think that a picture frame is securely fastened to the wall, it only takes a construction zone or unexpected pothole to send it flying to the floor. If you have carts or appliances with wheels on the bottom, you need to lock the wheels in place or strap them down so that they won’t roll around during your journey, causing potential injury. After doing our research, our family made the decision to keep all passengers in the truck while towing our fifth wheel down the road. We don’t feel like having passengers inside the RV is worth the risk, even though it is legal in some states. While it’s tempting to want more “personal space” on a long road trip, we know that the truck cab is a safer place for everyone to be in case of an accident. We try to enjoy the time together in the truck as a family since family bonding is largely what our travel is about anyway. As mentioned before, Class A, B & C motorhomes are designed for everyone to be inside the moving coach. However, what are the rules for walking around, using the bathroom, or making lunch while driving down the road? Can Passengers Walk Around In A Motorhome While It’s On The Move? Each state varies on RV seat belt laws, although all would agree that staying seated with a seat belt secured is the safest way to ride. The age of the passenger and the location of the seat are the main factors that the state takes into consideration when making their regulations. Motorhomes or camper vans are required to have seat belts installed in the front passenger seats, but not the back seats. It is recommended that you take the extra precautionary measure to install and use seat belts in the back seats of your motorhome if you plan to have passengers in the back area. Be sure to check with your state to know the current RV seat belt laws. Sleeping in a motorhome while it’s moving is not recommended. It would be in violation of state RV seat belt laws to not be buckled in while driving. Also, many people feel that sleeping on an RV bed while it’s moving is dangerous. In the case of an accident or falling objects, the sleeping person will not be able to move out of the way to avoid possible injury. If the driver or passenger is tired, there are many places where you can safely pull over and get a few hours of rest before continuing on your journey. Even though having passengers ride in a towable RV is legal in some states, it is not recommended. If you choose to have passengers in the back area of your motorhome or towed RV while driving, follow all safety precautions. The most important thing is that all passengers arrive safely at your travel destination so you can enjoy your RV road trip together.